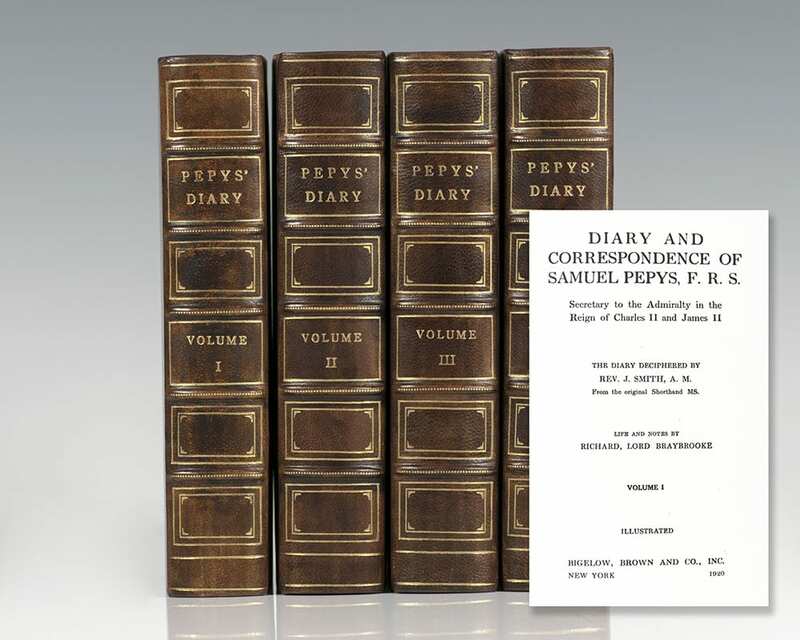 Diary and Correspondence of Samuel Pepys. New York: Bigelow, Brown and Co., Inc, 1920. Finely bound example of the diary and correspondence of Samuel Pepys. Octavos, four volumes. Bound in three quarters morocco, gilt titles and tooling to the spine, raised gilt bands, top edge gilt, marbled endpapers. Frontispiece engraving to each volume, illustrated. Deciphered by Rev. J. Smith from the original shorthand. 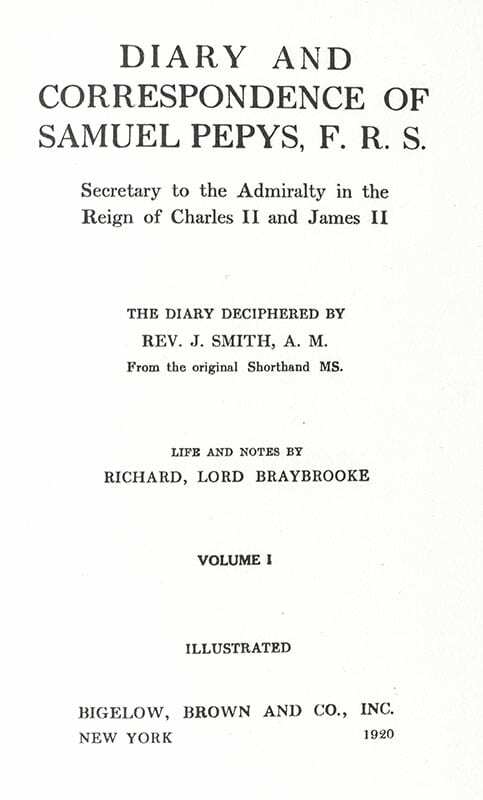 Life and notes by Richard, Lord Braybrooke. In near fine condition with light toning. A nice set. 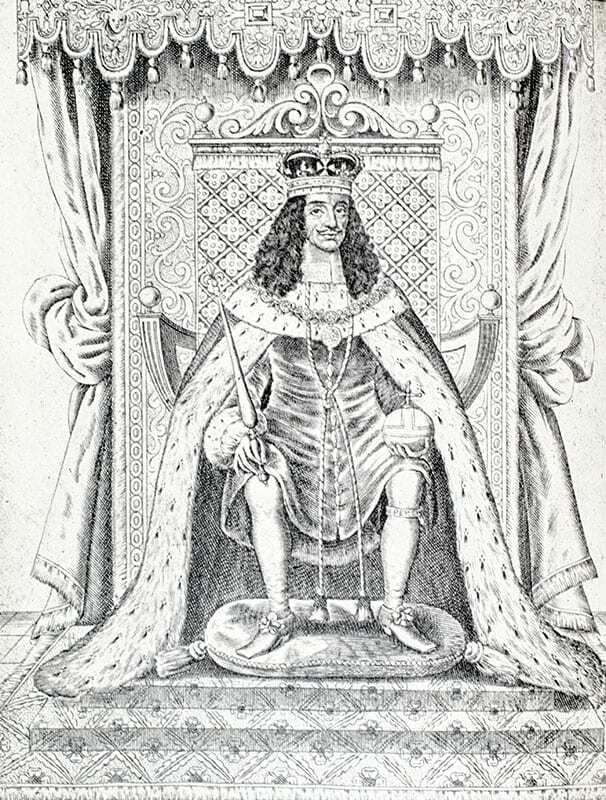 "Alexander conquered the world; but Pepys, with a keener, more selfish understanding of life, conquered a world for every sense" (Charles Whibley). "Pepys led a full, varied and voraciously-enjoyed life and clearly took pleasure in setting it all down in plain words. Unlike most frantically busy men, he had remarkable powers of observation" (Paul Johnson). "The bald truth about oneself, what we are all too timid to admit when we are not too dull to see it, that was what Pepys saw clearly and set down unsparingly" (Robert Louis Stevenson). London: George Bell & Sons, 1893. Octavo 10 volumes. Three quarters leather, gilt titles to the spine, top edge gilt. 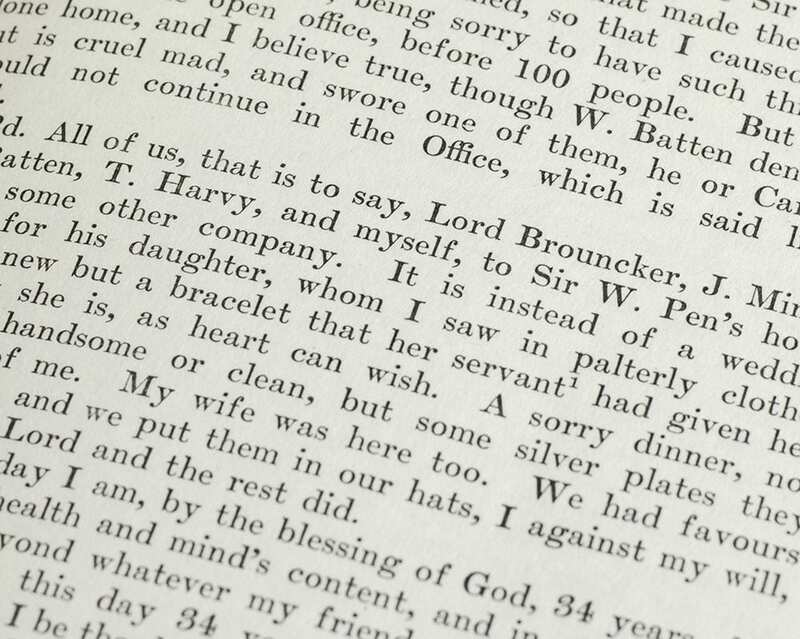 With Lord Braybrooke’s notes, edited with additions by Henry B. Wheatley. Frontispiece portrait and other illustrations with tissue guards and folding plates. In very good condition.